↑ "Chennai: PhaseII" (PDF). ओरिजनल (PDF) से 24 April 2014 के पुरालेखित. पहुँचतिथी 24 April 2014. 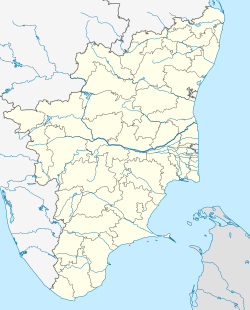 ↑ 3.0 3.1 "Chennai Expansion Could Be Tricky, Suggests History". The New Indian Express. पहुँचतिथी 30 May 2017. ↑ 4.0 4.1 "About Greater Chennai Corporation". Official Website of Greater Chennai Corporation. ↑ "INDIA STATS : Million plus cities in India as per Census 2011". Press Information Bureau, Mumbai. National Informatics Centre. पहुँचतिथी 20 अगस्त 2015. ↑ "Tamil Nādu (India): State, Major Agglomerations & Cities - Population Statistics in Maps and Charts". City population.de. पहुँचतिथी 13 अक्टूबर 2015.